Say what you will about #OscarsSoWhite, but a lack of diversity makes predicting winners that much easier. Hooray for small victories? In recent years, data companies have built a cottage industry around deploying Big Data to predict the Oscar winners — with impressive results. Making the job easier, says one company, is the demographic uniformity of members of the Academy of Motion Picture Arts and Sciences. Ad network Exponential has accurately predicted the Best Picture Winner for three years running by determining which film is preferred by consumers who look like the average member of the Academy: old, white and male. "There’s a definite profile to the Oscar voter — a monoculture, if you will," said Bryan Melmed, vice president of insight services at Exponential (formerly known as Tribal Fusion). "In any other part of our society it would have been a severe problem much sooner. For whatever reason, it took three or four years for the rest of the country to recognize this." Academy members are anonymous, but a 2012 Los Angeles Times study found a marked homogeneity among the people who choose which films and actors receive the highest accolades. Out of more than 6,000 members, 94% are white and 77% are men. Their median age is 62; only 14% of them are under the age of 50. Exponential used those parameters to construct a profile of an average Oscar voter, cross-referencing a pool of more than 100,000 people who fit the demographic constraints with another population that expressed strong interests in film and entertainment. It’s an approach that’s been successful thus far. In 2016, the data says the winner will be "The Big Short," an inside look at the events that led up to the 2008 financial crisis and the collapse of the housing market. "I think we’re exploiting a weird quirk in the Oscar voting, that it comes from such a narrow demographic and a narrow set of interests that are relatively easy to identify," Melmed said. It’s a bit like the extreme focus on the particular preferences of Caucasian evangelicals in the early days of a presidential race. Minorities aren’t a substantial part of the voter pool, so minority voices aren’t heard. 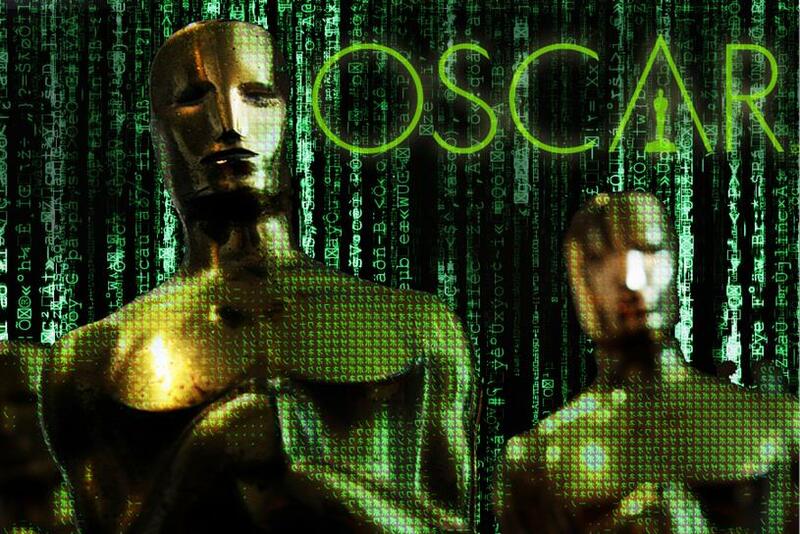 The data set Exponential pulls together for its annual Oscars predictions is much fuzzier than for a typical ad campaign, so they only handicap the Best Picture race. "When it comes to digital advertising, we can look at a conversion point or a web page landing and use it to create a pretty specific mathematical model that would say, ‘Well these characteristics are very important and these less so,’" Melmed said. "With this process, I don’t have a strict set of rules." Other organizations are using different sets of data to make their own predictions. Nate Silver’s FiveThirtyEight, which rose to prominence by accurately predicting the outcome of the 2012 presidential race in all 50 states, has been keeping a running tally of the Oscar nominees most likely to win this year. Their model assigns points to wins in other earlier awards shows, based on the correlation between those wins and Oscar wins in past years. Winners of Screen Actors Guild Awards go on to win the corresponding Oscar later that year more often than, say, winners of Golden Globes, so a SAG win is worth more points than a Golden Globe. Under that rubric, FiveThirtyEight predicts the Leonardo DiCaprio wilderness epic "The Revenant" will win Best Picture, with 28 "awards points." With 22 points, "The Big Short" comes up second. The same math predicts wins for Alicia Vikander for Best Supporting Actress ("The Danish Girl"), Sylvester Stallone for Best Supporting Actor ("Creed"), Brie Larson for Best Actress ("Room"), Leonardo DiCaprio for Best Actor ("The Revenant") and Alejandro González Iñárritu for Best Director ("The Revenant"). Last year, this same model correctly predicted all of those races except for Best Director. It chose Iñárritu ("Birdman") over the eventual winner, Richard Linklater ("Boyhood"). Online search results have also long been used to gain a glimpse of an audience’s interests. Hitwise, a company that profiles online search behavior, determined the relative share of online searches that coupled each of the Best Picture nominees with terms like "Oscar nomination" or similar phrases. "The Revenant" is far and away the most popular result, with 36 percent of searches. Again, "The Big Short" comes in second, with a distant 14%. The demographics of that pool of online searches are a close match for the Academy, but it’s not perfect. They’re a bit younger, and only half of them are men. And Hitwise admits that search results could be lower for movies with more name recognition, artificially reducing the showing of big hits like "The Martian." Of course, the stakes for getting an Oscar prediction wrong are pretty low, at least most of the time. The stakes rise when money is on the line, so online betting markets have a good track record of accurate predictions, not only for the Oscars but also political campaigns and Nobel Prizes. Currently, "The Revenant" is the favorite on Oddschecker. But no matter the method, no prediction is a sure thing. "I can honestly say that if I’m going to get this wrong or the data’s wrong, it’s going to be this year," Melmed said. "This is by far the toughest year." So if you’re hesitating while filling out your Oscar bracket, just remember to think like an old, white guy. The Academy will be.